About one billion birds are killed every year when they unwittingly fly into human-made objects such as buildings with reflective windows. Such collisions are the largest unintended human cause of bird deaths worldwide—and they are a serious concern for conservationists. A new paper published in June in the journal Biological Conservation finds that, as one might suspect, smaller buildings cause fewer bird deaths than do bigger buildings. 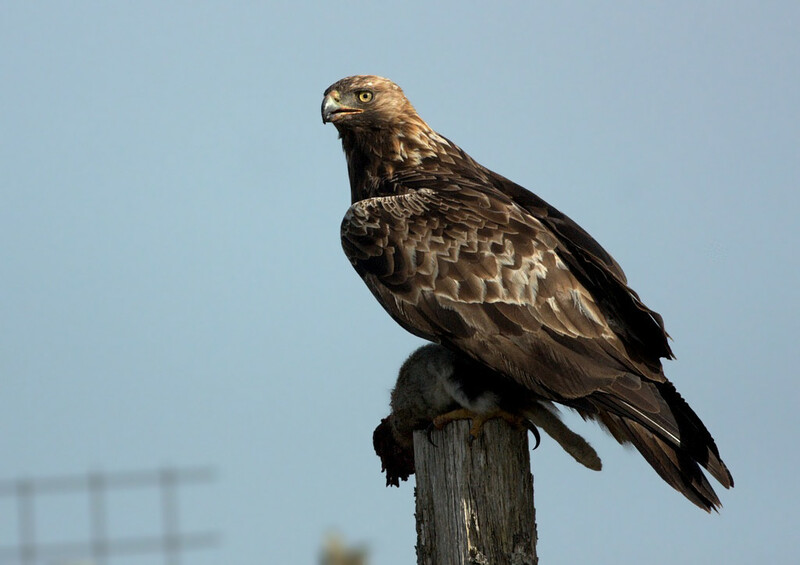 But the research team of about 60—including three co-authors with the University of Washington—also found that larger buildings in rural areas pose a greater threat to birds than if those same-sized buildings were located in an urban area. Lead author of the paper is Stephen B. Hager, professor of biology at Augustana College in Rock Island, Illinois. Co-author Karen Dyson, an urban design and planning doctoral candidate in the UW College of Built Environments helped collect bird-collision data and assisted in editing the paper, along with UW alumni Anqi Chen and Carolyn Foster. The research team monitored 300 buildings of varying size and environmental surroundings for bird mortality at 40 college and university campuses in North America in the autumn of 2014. This included six buildings on the UW’s Seattle campus. They designed a standardized monitoring protocol so that the field crews documented bird mortality uniformly. In all, they documented 324 bird carcasses of 41 species. At each site, somewhere between zero and 34 birds met their feathery demise. Why is that? The researchers think it might be related to how birds select habitats during migration, and differences in bird behavior between urban and rural populations. For example, they write, forest-adapted birds often select rural habitats with lots of open space and fairly few impervious surfaces over more urban areas. This entry was posted in 2017, International, X and tagged human impact on 22 Jul, 2017 by Birdlife20 owner. On a quiet, 30-acre property near West Palm Beach, Fla., 19 Florida grasshopper sparrows are starting to sing. These tiny songbirds bask in the breezes that flow through their custom enclosure. They know the nesting season is near. Named for their song, which resembles the sounds of grasshoppers, the sparrows are blissfully unaware that they are among the last of their kind. These birds share the property with a motley crew of endangered wildlife. There are the east African bongo antelopes, living far from the poachers and habitat destruction that have pushed their species to the brink of extinction. Golden lion tamarins can be seen across the way, part of a 40-year breeding program that has helped restore the species in the forests of Brazil. Large birds and tiny primates make up the rest of the residents of the property. They are part of a broad initiative in the Tropical Conservation Institute (TCI), a collaboration between FIU and the Rare Species Conservatory Foundation (RSCF). 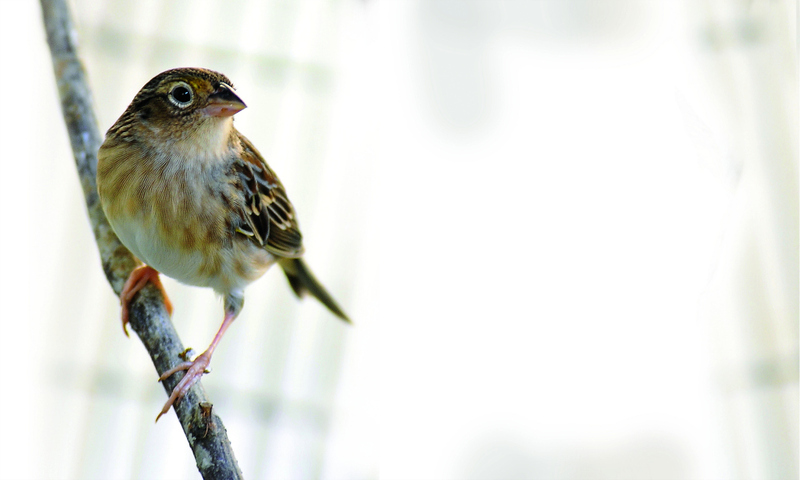 The Florida grasshopper sparrows are the newest addition to the RSCF property. Less than 60 breeding pairs remain in the wild today, according to Karl Miller with the Florida Fish and Wildlife Conservation Commission. Some say it could be fewer than 25. At about an ounce, the bird’s tiny size makes it difficult to find. Their cryptic coloring of brown feathers with flecks of gray works like camouflage. They’re also very elusive, so keeping tabs on them is difficult. 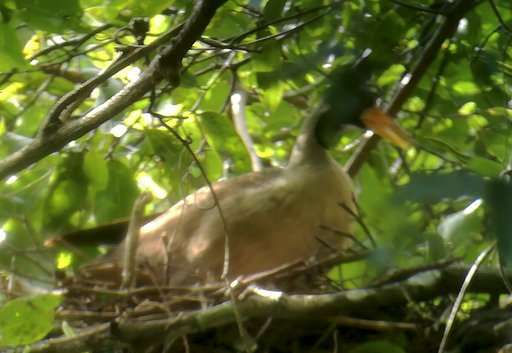 Yet, scientists know it is one of the most imperiled birds on the planet. FIU conservationist Paul Reillo is more blunt. Reillo is the director of TCI and founder of RSCF. For 35 years, the biologist has fought to save species through field-based conservation and, when necessary, captive-breeding programs. The team of researchers that make up TCI is working across the world to protect and restore populations of birds, land animals and marine species. The institute has received core funding support from the Batchelor Foundation to help sustain its programs. Nearly every species the researchers are working with are fighting for survival. Many are winning. In the 1980s, populations of the red-browed Amazon parrot were falling to desperately low numbers. The species, with its distinctive green feathers and striking red crown, appeared to be headed for extinction, nothing more than a footnote in the history of the planet’s biodiversity. Reillo and the RSCF team gave captive breeding a try. They started with 11 birds. Today, nearly 30 years later, the red-brow’s numbers have grown to nearly 100 in captivity, and are making a comeback in the wild. Reillo thinks the same could happen for the Florida grasshopper sparrow. The Florida grasshopper sparrow has been listed as an endangered species since 1986. It is not a migratory bird and historically was only known to nest in the dry prairie grasses of central and southern Florida. As much as 90 percent of the sparrow’s natural habitat has been developed, and today there is only one area left in the wild where the sparrows are known to reside—a swath of land not far from Walt Disney World. The sparrow population in that area has experienced a brutal decline in the past five years. In 2015, seven young hatchlings, some abandoned and the rest from nests expected to fail, were put into the care of Reillo and his team—the first time the species was brought into captivity. Reillo was expecting a slow start, but the captive clutch shocked everyone when two birds mated and produced four hatchlings in the first year. The team had little time to celebrate because, soon after, heavy rains flooded the prairie. State and federal wildlife officials recovered as many eggs as they could and brought those to Reillo for incubation and rearing. When asked if the Florida grasshopper sparrow can elude extinction, Reillo doesn’t have an answer. But with so few left on the planet, he says captive breeding is the difference between this bird being here and not. Sandra Sneckenberger, an endangered species recovery biologist with the U.S. Fish and Wildlife Service, says the Florida grasshopper sparrow is a tough species to take on. Few were willing to be involved in a captive breeding program, she said, but federal officials knew Reillo and his team could give the sparrow a fighting chance. The species presents unique challenges for scientists. The bird’s size makes it difficult to handle and nearly impossible to examine. No long-term captive-breeding program exists for similar sparrow species, so the team has no template to follow. Little is known about their immunity or to what diseases they are susceptible. Scientists often recover remains of animals to investigate cause of death and determine if populations suffer from parasitic diseases, bacterial infections or other illnesses. But just as their size and secretive nature make them difficult to locate while alive, it’s nearly impossible to find the bodies of Florida grasshopper sparrows when they die. Since first being placed into captivity, a few were discovered to be carriers of a disease from the wild population. This entry was posted in 2017, International, X and tagged threatened on 20 Jul, 2017 by Birdlife20 owner. This contrasts with all of the previous studies in future planning, which have focused on naturally occurring behaviour. For example, we know that California scrub jays cache their food according to their future needs. And that bonobos, chimpanzees and orangutans select, transport and save appropriate tools for future needs. These studies have shown that animals can plan for the future – but they left an important question open for debate. Are animals only able to plan to use abilities that have evolved to give them a specific advantage, or can they flexibly and intelligently apply planning behaviour across various actions? Most critics would say the former, as the animals were tested in naturally occurring behaviours. But the new research provides the first compelling evidence that animal species can plan for the future using behaviour that doesn’t typically occur in nature. This supports the view that at least some cognitive abilities in animals don’t evolve just in response to specific problems. Instead, it suggests that animals can apply these behaviours flexibly across problems in a similar way to humans. It seems that, in corvids and apes, intelligence is not a system to solve a predefined set of problems (dedicated intelligence) but rather a computational system to improvise new solutions (improvisational intelligence). But it is still unclear what this cognitive system exactly is and how it evolved. What’s needed now is neuro-biological evidence of general intelligence in animals. We also need to investigate how flexible and improvisational behaviour evolved. Then we might be able to see how crows’ ability to plan for the future fits in with their broader cognitive powers. Humans aren’t as unique as we used to think. Not, at least when it comes to making plans for the future. Scientists originally thought humans were the only animals that made plans but, over the past decade, studies on non-human primates and the crow family have challenged this perspective. For example, we’ve seen that these animals are able to store tools for later use, cache food in places where it will be needed the most, and hide pieces of the sort of food they know will be running low in the future. In all these studies, the animals had to consider what to do, where to do it and when to prepare for certain specific future events. The latest research shows that ravens can indeed anticipate the “what, where and when” of a future event on the basis of previous experiences. But unlike the previous studies, this work tested the birds in behaviour they don’t normally show in the wild. This provides evidence that they have a much more general ability to plan for the future than previously thought. Food hoarding is common in members of the crow family (corvids) because they often eat from perishable animal carcasses, which provide lots of food but are only available for a short amount of time. To create a suitable cache of food they need to work out what to store, where to put it and when to do so. The new study, published in the journal Science, tested the birds outside this naturally occurring behaviour, which may have evolved specifically because it gives crows a survival advantage. Some crow species are known to naturally use tools to retrieve food. So the researchers tested whether the birds could store and retrieve a tool so they could get at their food after a gap of 17 hours – something we wouldn’t expect them to do naturally. The scientists didn’t give the birds a chance to learn this behaviour first but they were still able to instantly select the tool out of a number of unnecessary items. In another experiment, the researchers taught ravens to select a token from a number of items that they could then exchange for food. Again, the birds then showed that they could plan for the future using this new behaviour. They were able to store this token and then retrieve and use it when they were offered the chance to exchange it for food 17 hours later. This entry was posted in 2017, International, X and tagged behavioural ecology, study on 19 Jul, 2017 by Birdlife20 owner.